Smoothies in a blender are rough. Blenders just never seem to get the right consistency. I /love/ my Nutribullet. It’s like my best friend! It also makes soups and peanut butters. Seriously, blending is key. There are never any chunks of bananas in mine. 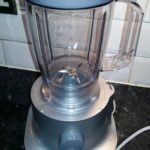 I could literally go on for hours about all the great-tasting smoothies… though, it doesn’t sound as if you’re a fan of bananas, and a lot of smoothie recipes use them as a base. Maybe mango is more your cuppa? They work too! 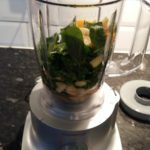 Anyway, don’t give up on the smoothies…the right recipes are fantastic (blended correctly o’course)! Bananas are definitely the issue. Maybe I’ll look into some without the evil fruit, or use natural yoghurt as a substitute?